In a recent blog, we talked about some of the senses that are associated with favorite holiday foods: The smell of cinnamon and homemade pumpkin pie baking in the oven. Freshly baked yeast rolls teasing our senses. The savory aroma of honey-glazed ham or a roasted turkey, wafting through the house. And these vibrant scents of much-loved foods are surpassed by how delicious these foods taste. But umami goodness need not stop once the table is cleared and dishes are put away. 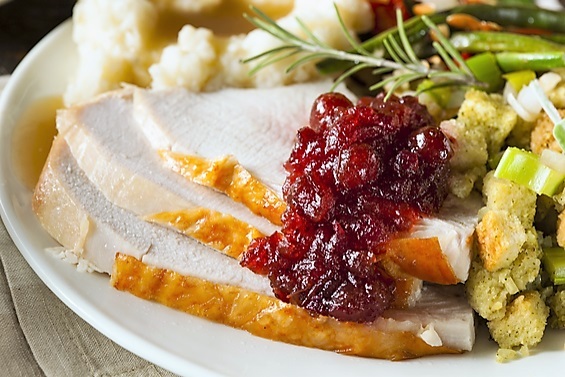 What about the leftovers, which are often an integral part of the holidays? In our house, the holiday leftovers are almost as important as the main meal itself. In fact, several family members like leftovers the best. Here’s a clue as to why leftovers are often preferred. According to Dr. Kantha Shelke, a spokesperson for the Institute of Food Technologists, premade foods and leftovers actually can wind up tasting better than food right out of the oven. So, this year you may want to make a plan to have extra leftovers. Plan in advance by increasing the number of servings in recipes, adjust your grocery list accordingly, and save lots of room in your fridge. Your family and friends will certainly thank you for it “extending” the delicious dinner you made for them! One more tip: be sure to make extra gravy to accompany the leftovers. And to make any gravy taste better, add a dash of MSG or soy sauce. I can taste the extra umami now. Yum! Next PostUmami, How Could I Live Without You?